Open up to a world of window treatment possibilities. With Decorative Films adhesive and static cling films, you can easily give your windows the look of frosted, etched, textured or stained glass. Whether you’re creating privacy in a bathroom, adding style to a shower surround, or bringing a soft glow to a bedroom—Decorative Films lets you customize your surroundings and give your windows new life. Get up to five FREE samples! To order, select the sample option on each product page. From shower surrounds to skylights, our films add style—and so much more. 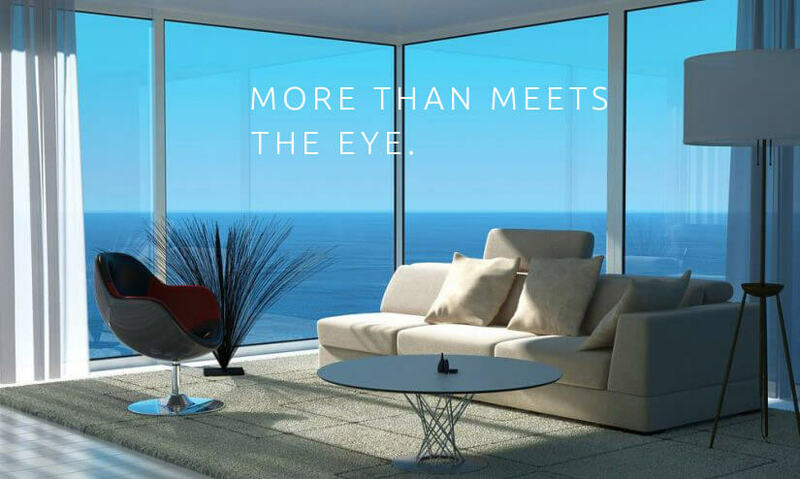 Choose a high opacity film for added privacy, a safety film for shatter resistance, or a solar control film to cut back on cooling costs. No matter what you need, we offer hundreds of styles that combine form and functionality, with stunning results. 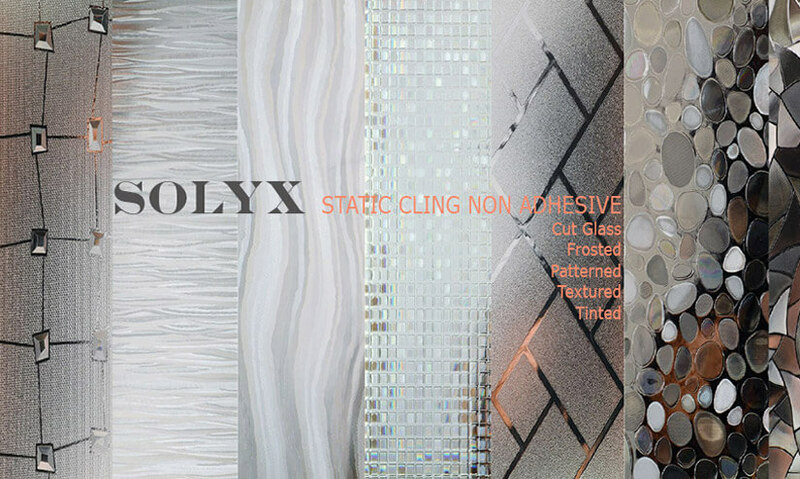 Decorative Films are available in both static cling and adhesive varieties. A NEW LOOK, IN NO TIME. Decorative Films are easily installed in less than 30 minutes, using a few simple tools. Watch the video below for step-by-step installation instructions. For larger projects, we recommend a certified installer. For easier DIY installation, add our complete installation kit to your Decorative Films purchase. 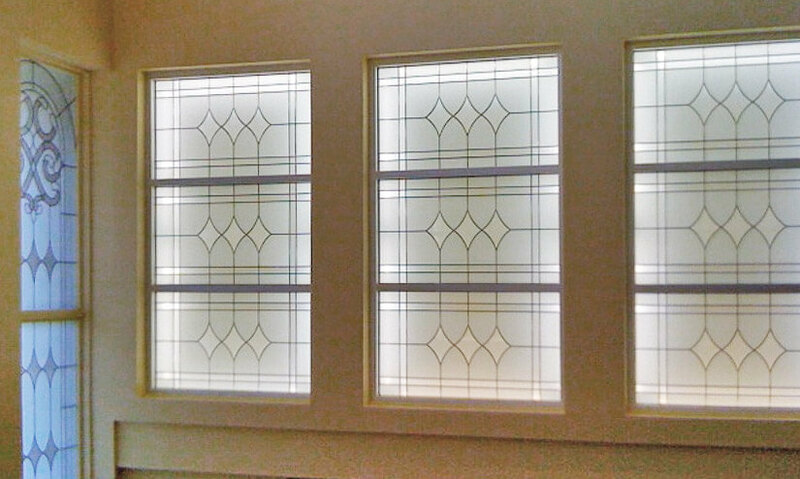 Decorative Films are a beautiful way to customize windows, doors, bathrooms, patios and sunrooms. Stretch your creativity with these inspiring ideas. Beautiful frosted adhesive-backed film with glass-like Rhombus lattice pattern. Good privacy and high light transmission. Priced per ft. Order the length (quantity) needed x 24" or 48" wide. Browse our broad selection of adhesive and static cling film. To order up to five FREE samples, select the sample option on each product page. Discount will be calculated after samples are placed in your cart.